Prefinished hardwood floors add beauty, durability, and value to homes, making them the perfect home improvement project. 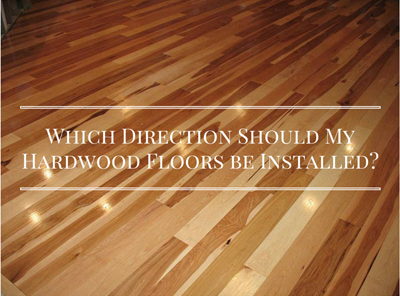 Once homeowners have decided on a wood style and finish, the next step involves choosing the direction of the planks. Personal preference, structural considerations, and interior decorating rules all govern the ultimate choice. Interior designers traditionally recommend that your hardwood floors installation follow a path running in lines from the main entrance to the wall or along the longest length in the room. The appearance elongates the room for a consistent visual experience. Sometimes, however, this general rule does not hold. Structurally, board placement should always lay perpendicularly to the joists in the flooring. This layout provides strength and reduces the likelihood of squeaking and separation over time. Depending on your home installation, your floor provider may recommend a couple of different floor layouts. You may even consider placing your engineered hardwood floors in a diagonal pattern. A non-traditional placement pattern can add a distinctive visual appeal and disguise any inconsistencies in the flooring. When choosing your floor directionality, consider the structural needs of the flooring first, then look at the number of rooms or overall layout of the flooring. Finally, think about which design pattern will provide the most visually appealing experience. 5-Star Rated Hardwood Floor Installation Company Ready to Serve Your Needs! 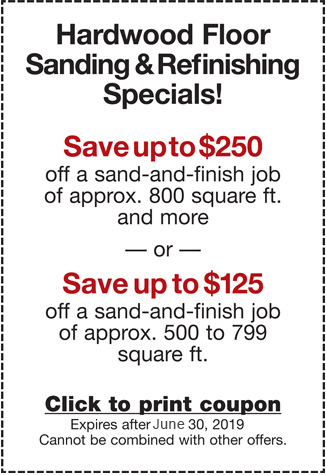 The team at Elegant Floors would be happy to provide insight and a free consultation regarding your flooring project. Call us at (650) 961-1339 or use our online contact form today.